I know that bean soup probably doesn’t sound very exciting, but you have to believe me when I tell you how delicious it actually is! 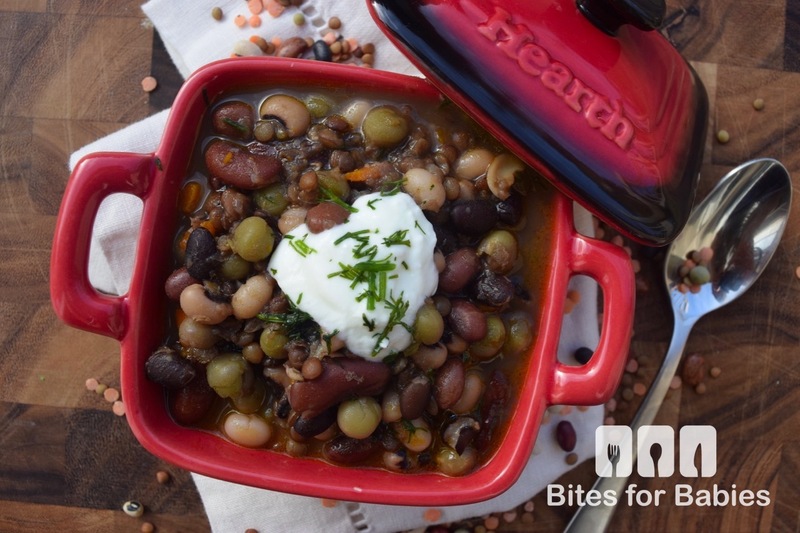 This wholesome, vegan-friendly, smoky bean soup is made with all-natural ingredients, protein-packed dried beans, aromatic, earthy spices such as paprika and cumin, celery, carrots, and vegetable broth. Canned soup was a popular pantry item when I was growing up. Nowadays, it hasn’t once found its way into my pantry. My palate and lifestyle have changed, meaning I appreciate much more wholesome, homemade soups that aren’t laden with sodium and fat. Homemade soup is just as convenient as canned, it’s as easy as grabbing it from the freezer, where I keep extra batches and leftovers. This soup is miles ahead of its canned commercial counterpart. For one, it’s made with fresh ingredients, most of which you probably already have stocked in your fridge or pantry. Secondly, the flavour of canned soups pales in comparison to homemade ones. The earthy spices add a depth of flavour and the addition of parsley and scallions as a garnish adds a burst of freshness to this hearty soup. 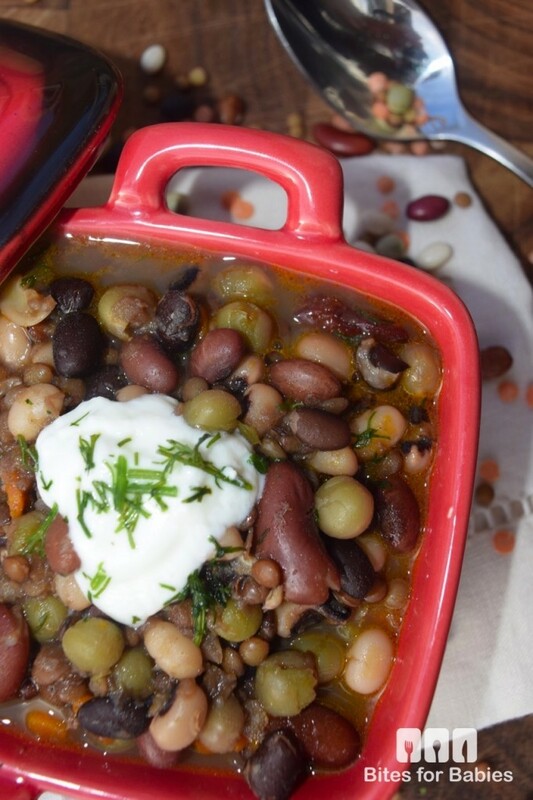 My children might not be huge fans of beans at the moment however, they truly enjoyed this smoky bean soup. It’s the perfect healthy, hearty soup for the cold weather. Rinse the beans then transfer to a large bowl, add water (covering the beans at least 3-4 inches) then add the baking soda. Stir the beans with a spoon then soak overnight or for at least 8-10 hours. After soaking overnight, drain the beans, rinse with water, drain again then set aside. Heat olive oil in a large pot on medium heat for about 1 minute. Add the diced celery, carrots, and onions and cook for 5-7 minutes or until translucent. Add the beans, spices, and broth to the pot and bring to a boil on high heat. Cook on high (covered) for 20-25 minutes then remove the lid and simmer for 30-45 minutes or until the beans are fork tender. Garnish with freshly chopped parsley, scallions, and a dollop of Greek yogurt, if desired. This looks like it would be a good soup to warm up for in the winter. In Atlanta the weather has been wacky in the 70s so no soup until it decides to be winter here lol. I have never been a huge fan of beans, but I have to admit this looks really good! Perfect winter recipe. Thanks! I think beans are delicious in soups! Looks great! I know my husband would absolutely love this! This looks like one tasty bean soup and we love bean soups here. I am going to have to try this recipe. Thanks for sharing the recipe. I just love a good bean soup and this one just might hit the spot. This I’m definitely going to try. I actually prefer a chunky soup…this one is very chunky so you might like it. This looks absolutely delicious, I had a traditional bean soup on my visit to slovenia and it was absolutely delicious. Looking at this brought back some lovely memories. Wow, I would have loved that! I remember actually eating bean soup while i was in Hungary…it was delicious! Oh my gosh this looks delicious!! I am always looking for recipes to use left over ham in, one of my favorite holiday dishes! I don’t eat meat but some leftover ham in here would definitely add a ton of flavour! Oh, that looks so good. I always make bean soup with the leftover ham bone after Christmas. That looks absolutely delicious! I think my husband would really love this! Yum! I love bean soup – it’s such a healthy option and packed with protein. And it’s a great way to make a very budget-friendly dinner. This looks and sounds delicious. I would love to eat it over rice. Thanks for sharing. I actually often make a lentil and rice dish with coconut milk and curry spices…you could definitely swap the lentils for beans. This sounds like it would make a great dinner on a cold winter day! I love beans! Yes, it’s one of my favourite comfort meals. Yum this looks awesome. My husband is a huge bean fan so I’m pretty sure he would love this one! 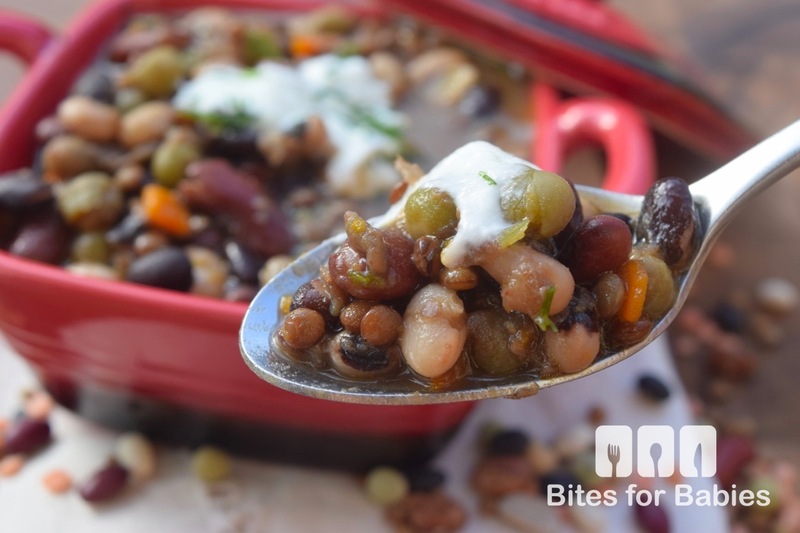 My boys love beans so this would be a hit for dinner at our house. This sounds super tasty! Oooo now this sounds like a tasty recipe!!!! Very unique. I’m definitely going to have to give it a try! I love the combo of the spices, they add an earthy flavour! I have never had a recipe like this before. We aren’t huge bean fans but my dad is so he would love this! This looks like a fantastic soup. Would you believe that my four year old saw Santa this weekend, and he told him he wanted BEANS?! For real. This just might be what he’s looking for haha. We have a recipe that’s close to this one but we add turkey sausage in with the beans. This dish looks delicious! Actually being Cuban we are all about beans and this soup looks amazing! 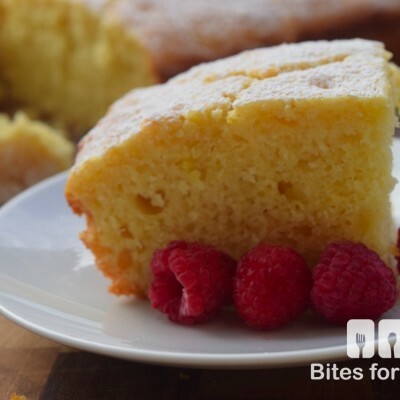 Thanks for this recipe we make a very similar one. I LOVE bean soup, so this looks delicious to me. I always add my spices to the heated olive oil. It really brings out the flavor. I can’t wait to try this. Wish I had a bowl for lunch! I have never mixed celery with my beans before, I will have to try that! Celery, carrots, and onions are the key to making a flavourful soup! I enjoy eating soup, especially during the cooler seasons. Bean soup recipes are my favorite, too! This looks really good. I’m going to bookmark this page so I can make this hopefully this week. I love soup this time of year! 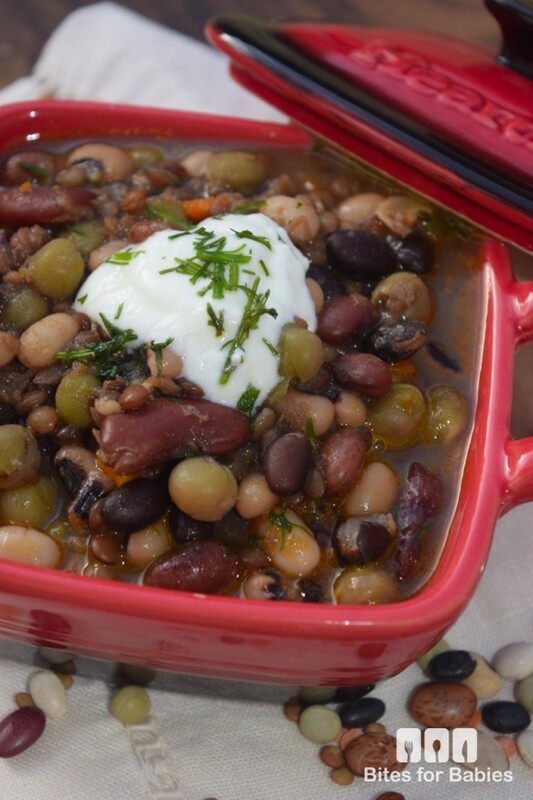 I have never made a bean soup but yours looks amazing! That looks delicious! We love soup around here especially at this time of year, but never tried bean soup yet. Soon! It’s the perfect time to have it! 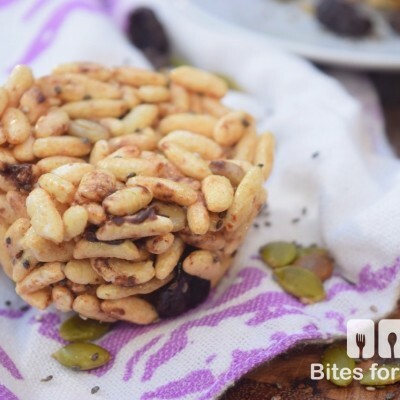 This recipe looks tasty and healthy! Beans are very high in fiber. This looks like a delicious and healthy recipe. I will have to give it a try this weekend. I’m not a great fan of beans, but this looks really good. I think this is worth a try. I love this time of year. I really enjoy soups, especially bean based ones. I do enjoy them year-round, but this time of year I really crave them. So do I…maybe because it’s so cold and we crave something warm and hearty (which means are to me!). I would love to try this soup, especially now! It has been pretty cold and I need a good soup to warm up with. I bet it tastes so good with that yogurt on top! This would be perfect for those chilly grey winter days when you need some warm comfort food. The yogurt adds a tangy bite and really cuts through the sweetness of the beans. I am a huge soup lover – I could eat soup every day! This one sounds wonderful. I like the idea of Greek yogurt instead of sour cream and the smoky touch sounds delicious! Oh man, does that look good. I’m a HUGE fan of bean soup. The best is when you throw in a big old ham bone, too. yummo.